In April 2016, Companies House implemented the Register of People with Significant Control (PSC), requiring UK companies, Societates Europaeae (SEs) and Limited Liability Partnerships (LLPs) to hold a register of not only the beneficial owner(s) but also persons and entities with significant control. Companies started filing this information at Companies House from June 2016, with Companies House making the register available to the public from July 2016. It was a highly laudable move by the UK government. The PSC register continues the UK’s drive towards greater corporate transparency, and the fight against money laundering and counter terrorism financing. The publication of the register so quickly after the Panama Papers scandal made its release all the more compelling. In the September product update of encompass, we integrated the PSC Register with our ever-growing list of information sources. We believe it will become an invaluable addition for our users because of the benefits it offers financial services firms, lawyers, insolvency practitioners, restructuring professionals and any regulated organisation in understanding the ownership and control structures of their customers. The introduction of the register is the latest amendment to the Companies Act 2006, and was included alongside other measures relating to transparency contained in the Small Business, Enterprise and Employment Act 2015, implementing one of the main tenants of the EU’s Fourth Money Laundering Directive (AML4). The ultimate aim is to help combat money laundering and terrorist financing by creating a full picture of both the legal and beneficial ownership of businesses in a publicly accessible register. AML4, which doesn’t come into effect until June 2017, extends an obligation on Member States to hold a register of beneficial owners beyond that imposed in AML3. Where AML3 focussed on ultimate beneficial owner, AML4 has expanded the definition to include people with significant control, such as CEOs, CFOs and chairmen. The UK is the first country within the EU to meet these requirements, with similar initiatives currently being undertaken by other member states. By contrast, The Netherlands has advanced plans for a register similar to the UK, but early indications suggest an access fee will be levied and only certain categories of use will be allowed. 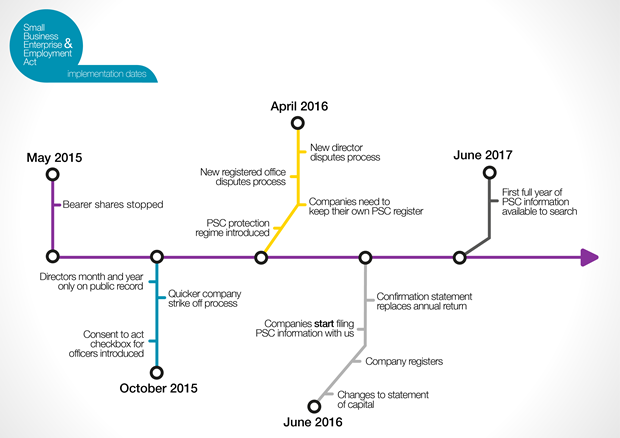 The PSC register was launched in April 2016, and from June 2016 companies were required to include details of PSCs along with their yearly Confirmation Statement submitted to Companies House (which replaced the Annual Return). 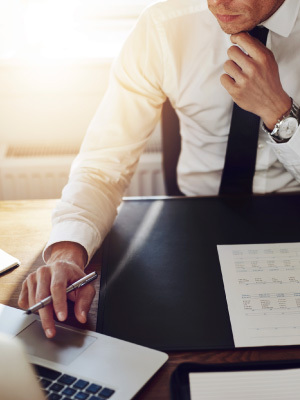 It is incumbent on companies themselves to maintain an accurate and up to date record of their PSC register, and advise Companies House of any changes. what qualifies someone as a ‘Person with Significant Control’? As we’ve written about, Companies House and the UK government have shown a great willingness to achieve the highest levels of transparency with their open data approach to company ownership and information. By making the PSC register a part of their publicly accessible data portal, anyone can search a company to determine who ultimately holds control. It is this feed which we’ve been able to embed into our rich data set within the encompass products. The PSC register was made live to the public on 30 June 2016. While the immediate impact was positive, the initial release was not without its limitations. At time of writing, this register is far from complete, owing not to the shortcomings of the technology, but simply because not every company will have submitted their Confirmation Statement. The available information is growing every day, and by May 2017 we should have the majority of company ownership structures registered with Companies House. Presently, the PSC Register contains just over 200,000 records. Initial tests have also uncovered some interesting discrepancies. For example, as the nationality of people of significant control is a free text field, companies have filed multiple versions for the same state, such as ‘UK’, ‘United Kingdom’ and ‘Great Britain’. There are also a number of entries containing no data. Perhaps more surprising is the number of companies reporting that they have no ultimate beneficial owner, or they do but they don’t know who they are. This doesn’t necessarily indicate that there are thousands of companies trying to bend the rules. The PSC register is a new undertaking, so it is more than likely that those submitting the information have misunderstood the requirements. 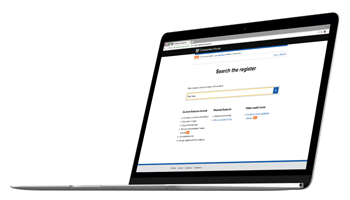 The PSC register is a service still in development. Like many of their other online services, Companies House have opened the register to the public and used feedback from users to help direct its progress. There is serious interest across business, finance, corporate transparency campaigners and the media, with many eyes scrutinising the data. It is hoped that such visibility will improve its accuracy and validity. Viewed in isolation, Companies House PSC register is informative and interesting. However, it does not provide the full picture required by firms to meet their AML/CTF regulatory obligations. It is effectively raw data being returned from a database, and does not show complex lines of ownership, nor easily identify instances of shell companies or dead ends firms might come across in investigations. When seeking to identify the ultimate beneficial owners of a company, you need to expand the scope of your search. That’s where using visual analytics across multiple data sources within encompass really comes into its own. 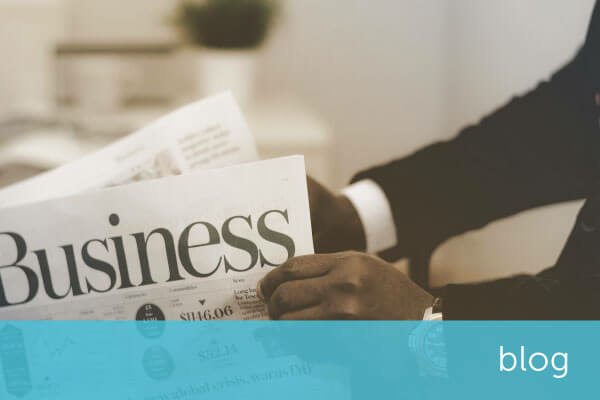 Alongside searches of the Companies House Company and PSC registers, encompass can automatically pull in additional company, AML, property and person data from official sources such as Dun & Bradstreet, Land Registry and C6 intelligence to name only three. By overlaying this data together in one view, hours of research time can be saved and connections between the relevant companies, individuals and legal entities can be uncovered. We are really pleased to be able to deliver PSC register information to our customers. Over the coming months, we are looking forward to learning more about how and why they use it as the PSC register grows and evolves over time. 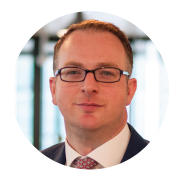 Graeme Port is a product management professional with over 15 years’ experience in the compliance and credit risk industries. He has particular expertise in the underlying data supporting the business critical decisions made by both the credit and compliance risk functions within financial services firms. Before joining encompass in early 2016, Graeme's career spanned multiple roles at information giant Equifax, from sales and credit risk to product management and, latterly, representing Equifax at the Business Information Providers Association.